Can OTC Sleep Aids Cause Alzheimer's? Do OTC Sleep Aids (Over The Counter) Cause Dementia and Brain Damage? Why haven't people been told these facts about otc sleep aids? 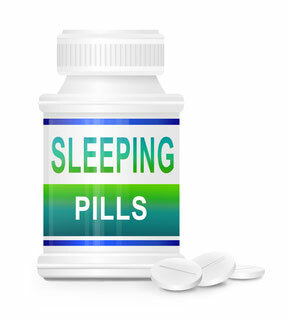 In my part one article on over the counter sleep aids, I gave you 14 reasons why these sleeping pills are bad for you. Here in part 2, I'll give you 15 more reasons. Americans purchase more over the counter sleep aids than any other OTC drug. And these sleeping pills are harmful, as you are about to discover. In case you didn't read part one, here are the drugs I am talking about: Sominex, Nyquil, Sleepinal, Motrin, Nytol, Tylenol PM,Unisom, Benadryl, Advil PM, and other store brand names. On top of this, if you mix these drugs with other pain drugs you may be taking, perhaps for joint pain, the harm is compounded. There are better, natural alternatives for sleep and for pain. I'll show you these at the end of this article. For now, let's start with reason 15 to avoid otc sleep aids. 15. Dizziness and poor coordination. People over 60 to 65 or so (maybe even younger) need to really watch out for this side effect because our sense of balance is not as good as we age. Falling down after taking over the counter sleep aids may occur. 16. Dementia and brain damage. My mother died of dementia. It was beyond horrible for her for the 10 years she had it. Could all the otc sleep aids and other pharmaceutical drugs that people pop in their mouths like M & M's, year after year, be one leading cause of the explosion of dementia and Alzheimer's disease? Dr. Malaz Boustani, M.D., associate professor of medicine, Indiana University School of Medicine, and a team of researchers analyzed 27 studies on the connection between use of Benadryl (which is diphenhydramine) and brain impairment in older adults. The more you keep taking, the worse it may get for your brain. It adds up and puts a burden on your brain. He added: “Taking these medications for 90 days or more may triple your risk of developing Alzheimer's disease.” As almost all scientists say, more research on the effects of otc sleep aids is needed. 17. Delirium. Dr. Boustani also said people 65 and older who take diphenhydramine medications risk developing delirium. This is a decline in brain function, focus, and awareness. It increases the risks of dying or being cared for in a nursing home. 19. Dangerous drug interactions. Never, ever mix otc sleep aids with alcohol. And if you take prescription drugs of any kind, beware. Talk things over with your doctor or pharmacist before taking those drugs along with over the counter sleeping pills. 20. Dry mouth and dried out nasal passages. 21. Dry eyes. People with glaucoma must consult their doctors before using these sleeping medications. 23. Mood changes and irritability. 24. Restlessness. Many people—including children—get agitated, nervous, and jittery feelings rather than sedated when taking over the counter sleeping pills. And speaking of kids, you'll see on the back of packages of otc sleep aids that it says to talk to your doctor before using if you're pregnant. Same advice if you're nursing or hope to become pregnant. 25. Sleep maintenance insomnia. Some people wake up in the middle of the night on these non prescription sleep aids and cannot get back to sleep. 26. Urinary problems: These include urinary retention, urinary frequency, painful urination, and difficult urination (due to enlarged prostate). Warning labels on some of these drug packages say to ask your doctor before using if you have trouble urinating. 27. Heart palpitations, with rapid and irregular heartbeat. 28. Unrefreshing sleep because of the lack of deep sleep needed for brain health. 29. Breathing problems. There could be serious negative consequences for those with breathing problems. People with emphysema, bronchitis, sleep apnea, or asthma need to be extremely cautious. See your doctor before using otc sleep aids. And what about going through life never feeling your best...never feeling fully energized...just getting enough sleep from your otc sleeping pills to get by in life? Tolerance to a dose of some of these sleeping medications can build up fast, so you may need to increase it. Many people take them for two or three days a week and know they're building a tolerance so they quit for that week. That way they know they can take them again the next week and the next week and the next week without increasing the dose. Some people think they can just roll the dice and double up their dose. It's all pure insanity. It's a roller-coaster ride of legal drugs. Fact is, people who take otc sleep aids long term are playing Russian roulette with their health... including their brains...and their kid's health too. One big problem of getting people off of these otc sleeping pills...or convincing them not to take them too long in the first place...is that people in today's society want everything now. We are perhaps the most impatient society on the face of the earth. Certainly in the history of the world. Count me in there. Natural sleep aids and insomnia treatments such as cognitive behavioral therapy take time to treat this sleeplessness, usually a minimum of several days or weeks. 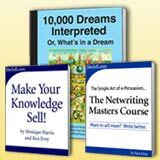 It takes time and hard work to learn how to sleep if you have insomnia. That's why natural sleeping aids often get cast aside so quickly. They don't work fast enough for most people. Of course, for some people, natural sleep remedies such as melatonin supplements or herbal sleep aids don't work either. We are all unique individuals. Yet, at least when you learn to use non-drug treatments...perhaps the best natural sleep aids...or relaxation with meditation...or some of the how to fall asleep tips on this Sleep Passport website...you won't have to worry about the fear and pain of nasty side effects you may experience with otc sleep aids. For references, please see part 1 of over the counter sleep aids (below). For help with moving away from over the counter sleeping pills, and dealing with insomnia naturally, take a look at Neuro-Natural Sleep. If you're concerned about having a foggy memory, dementia, and lack of concentration, you'll want to check out the powerful Neuro-Natural Recall. Neuro-Natural Recall helps keep your brain and memory sharp as a tack. Click here to help keep your memory recall in tip-top shape.